Friends and family made a huge effort to be there, many people came who had not seen us since we left London. By now we had a great core group of friends and family who knew exactly how to help, what to keep an eye out for, when to laugh and when to cry. I think most people must have been initially shocked to see the physical deterioration in Neil, but he soon let them know that his sense of humour had survived, thus far, intact. For me, it was all going well until I realised we were going to have to sing Happy Birthday to Oscar. I couldn't even think about it without my eyes welling up. By now I was starting to hide some emotions from Neil, he hated seeing me upset and would feel responsible and helpless and ultimately get upset himself. I didn't want him to feel that way so I hid it. MND had found a way to break our communication. I gathered my mum and a couple of good friends in the kitchen to confess that I thought I couldn't go ahead with singing Happy Birthday. They all understood and let me cry. We went through possible alternatives, other tunes that Oscar liked or just cutting the cake and taking it out. Thankfully just being able to talk about it and release a few tears gave me the strength to go ahead. 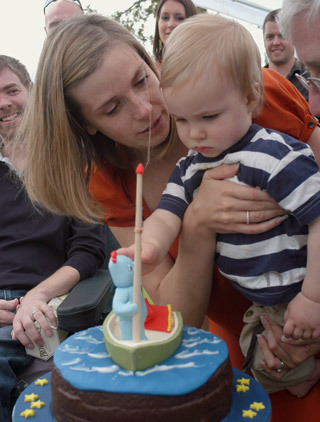 If we hadn't sung Happy Birthday then memories of Oscar first birthday would have brought back nothing more than images of a living wake for Neil and I didn't want that for our little boy. I managed to get through it with only one tear falling. Hi Guys, What a lovely picture! We had a fabulous time at Oscars party and it was wonderful to see you and Louise. We have missed you so much and we will do our very best to come and see you as soon as we can, minus the kids if possible. We will send you some pictures. The pictures that we brought home of you and Oscar have pride of place on our fireplace. Neil, you are doing brilliantly and as difficult as it is, you have retained your wicked sense of humour!!! We will speak next week! Just to say thanks for the wonderful (and extremely well organised party) – it was really lovely to see you all smiling and this beautiful photo captures the ambience of the day perfectly. Thank you also for giving me the opportunity to spend the week with you and let me help you guys out. I haven’t stopped thinking about you all since I left. 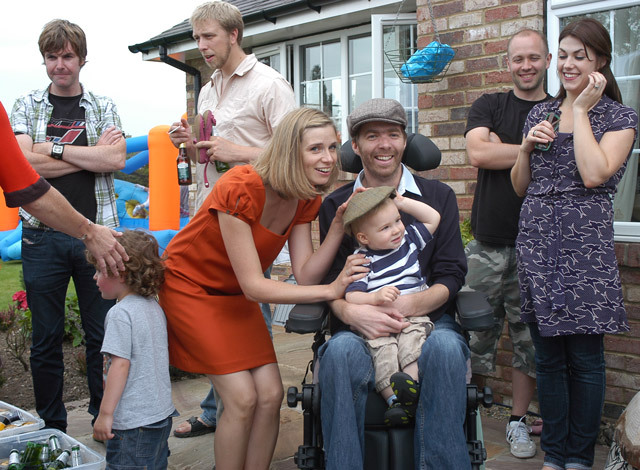 Louise and Neil – I think you are coping brilliantly and I feel honoured to be part of your family. Douglas is really looking forward to coming down next weekend and has promised to give you some Reiki Neil – make sure you work him hard, he needs it! 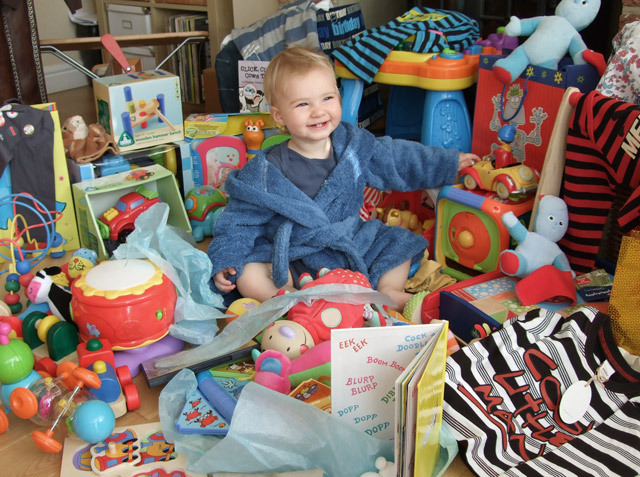 Although, I have to say, the house was remarkably tidy when I got home…. Hi Louise, Neil and the big fella in the flat cap. Sorry I missed Oscar’s first birthday. But I had been asked by the Portugese Government to try and reduce the whisky problems around the Albufeira region. A daunting task but, I think its solved now. Of course Aunty what’s her name wasn’t too pleased, but a a man with a mission cannot be daunted, as you know. 3) How to get maximum measures for minimum outlay. hurting yourself, or looking a fool. “THE FLATCAPPERS”. Can we include Neil and Oscar as supporters too. As usual blogged to long.